Insurance suffers from a severe awareness problem in Uganda. In the US at least, people want insurance when given the opportunity. There is an understanding that they need it and they should have it. Low-income Ugandans, on the other hand, do not share this understanding. Many do not even know what insurance is until it is explained to them, and once it is, there is a sense that “it is too good to be true.” That is, insurance is “not for us,” and so, they do not need it. This poses a significant challenge to our team developing microinsurance for the clients of our network member, Finance Trust Bank (FTB). Early in 2013, we conducted research to understand healthcare usage, needs, costs, and financing strategies among low-income Ugandans, as well as their awareness of insurance. This research informed our approach to designing an insurance product that would help alleviate the financial burden of hospitalization for FTB’s low-income clients. FTB wanted to offer insurance to its clients to demonstrate that it is a customer-centric microfinance bank dedicated to serving women with product offerings tailored to their needs. The result was TrustCare Hospital Cash, an insurance product that covers clients for inpatient hospital admission. It is one-of-a-kind in the Ugandan market with the ability to differentiate FTB among its competitors and provide a financial benefit for clients beyond access to loans. By providing a product that improves clients’ ability to repay loans and address other costs, the product has the potential to attract and retain clients and help the bank’s bottom line. Based on the research and Women’s World Banking’s experience developing products that meet women’s needs in other markets, Women’s World Banking and FTB worked together to develop an accessible microinsurance product with a meaningful benefit. We made sure that enrollment was simple and integrated into the loan acquisition process. To ensure that claims are paid out quickly and smoothly, we worked with the partner insurance company to streamline the claims process. And last but not the least, we developed a consumer education plan that builds knowledge of the product as an exclusive value-added benefit that lessens the financial burden of hospitalization by helping customers cope with the high and often uncertain costs of severe illness. While these findings presented a big mental and emotional hurdle to overcome in order to reach clients, we did find one bright spot: after we carefully explained the product to clients interviewed in our research, they indicated that they really liked the proposed insurance coverage and affirmed that it met a need in their lives. In order to address the challenges we identified in the research, the consumer education campaign objectives centered on building awareness of TrustCare Hospital Cash as a value-added benefit for FTB loan clients. First, distinguishing it from life insurance (another product provided by FTB), second ensuring understanding of how TrustCare Hospital Cash works (i.e. initiating a claim), and third, building trust around the product to motivate clients to actually avail of the product when the need arose. At the heart of this campaign are branch staff who are in the front lines of client interaction and are best placed to educate clients about TrustCare Hospital Cash. We developed a comprehensive training program for all staff to ensure that they regularly engage in conversations with customers and we incorporated insurance sales and handling as part of branch staff’s job responsibilities. We found that clients prefer one-on-one explanations that may have to be repeated many times over the course of the loan cycle. Thus, staff must be knowledgeable about the product and are ultimately responsible for building clients’ awareness and understanding of it. But these discussions with clients will not be done in isolation. This staff-centric approach is supported by collateral such as a brochure that doubles as a policy document and posters that are posted in branches. FTB also plans to conduct outreach on mass communications channels such as local radio. Personal communications channels such as SMS alerts sent to the clients’ phones will be used to send notifications to clients to help facilitate claims. In addition, we have built continuous customer satisfaction monitoring and feedback collection to help identify gaps, refine the product and ensure good customer service throughout. 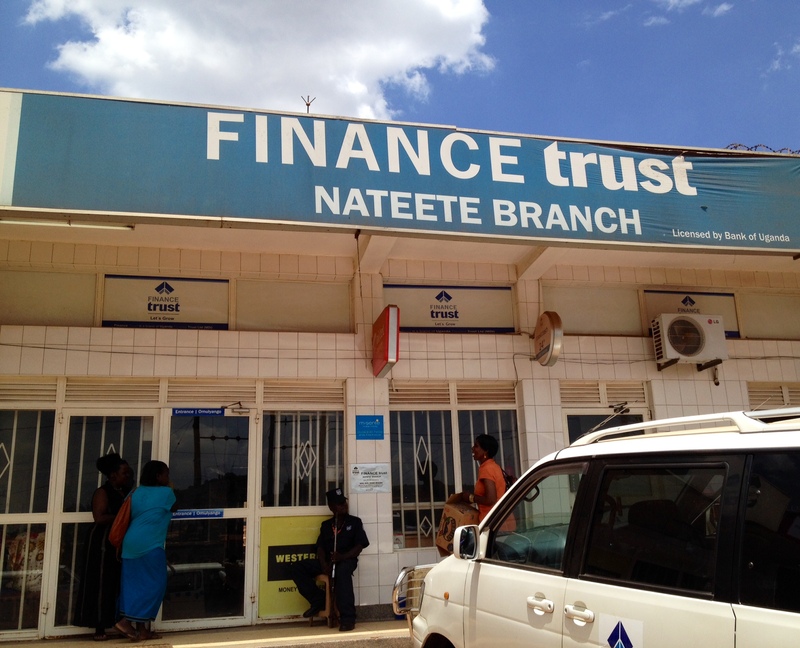 FTB launched TrustCare Hospital Cash in February 2015 in three branches – Natette, Mukono, and Ntungamo – and will launch in two more sites later in the year – Soroti and Kalere. We look forward to sharing results and lessons learned from this program in the coming year. 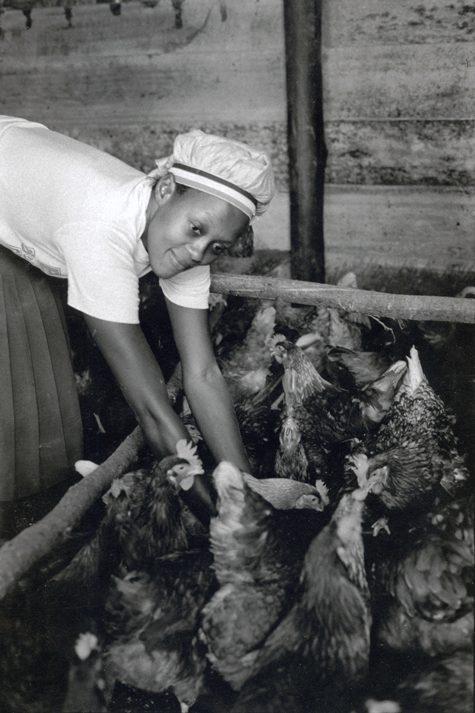 This project benefits from the Agence Française de Développement support. The analysis, views and opinions expressed are those of the author and do not necessarily reflect the position of the Agence Française de Développement.